Updated 26th February Five to Five are the newest stars of Gary Barlow's new musical, The Band, winning the public vote ahead of fellow finalists Drive and Nightfall on last nights's final of BBC's Let It Shine . 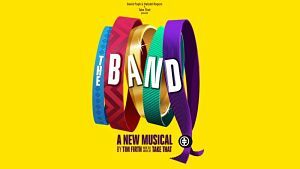 Hot on the heels of the triumphant and record-breaking opening of his musical The Girls earlier this week, news of Gary Barlow's next musical The Band (based on the music of Take That) has just been revealed. The producers David Pugh and Dafydd Rogers are due to start work on it this Sunday following the finale of Let It Shine (the show to cast the band members) on BBC on Saturday night. The new musical is written by The Girls Tim Firth & with Take that as co-producers. It is due to open in Manchester on 8th September with a view to transferring it into the West End.